New Delhi, July 7 (PTI): India’s Prime Minister Narendra Modi and his Bhutanese counterpart Tshering Tobgay held talks, during which defense, security and strategic cooperation between the two neighboring countries were discussed. 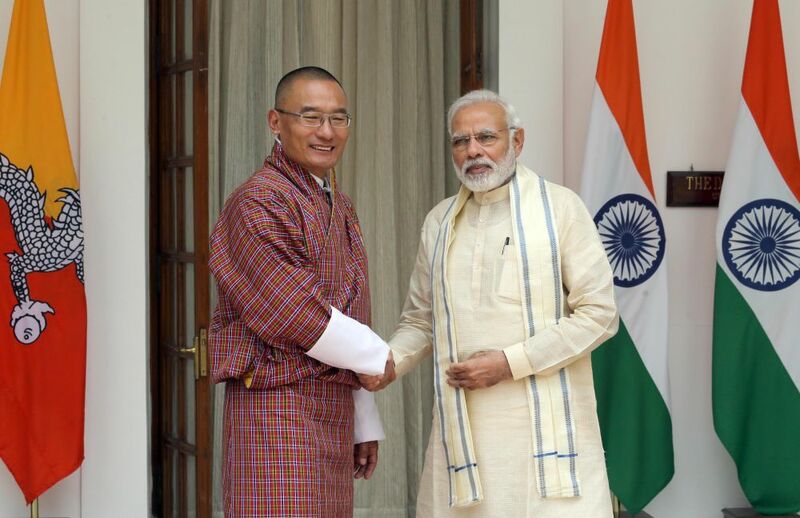 Tobgay, who arrived here on a three-day visit Thursday, met Modi at the Hyderabad House Friday. External Affairs Minister Sushma Swaraj had called on Tobgay Thursday and discussed ways to deepen the bilateral cooperation. In their talks, PM Modi and Tobgay likely discussed the situation at the Doklam tri-junction, the site of 73-day-long standoff between Indian and Chinese armies last year. In February, Tobgay had visited Guwahati to participate in an investors’ summit on the sidelines of which he and PM Modi had held talks.